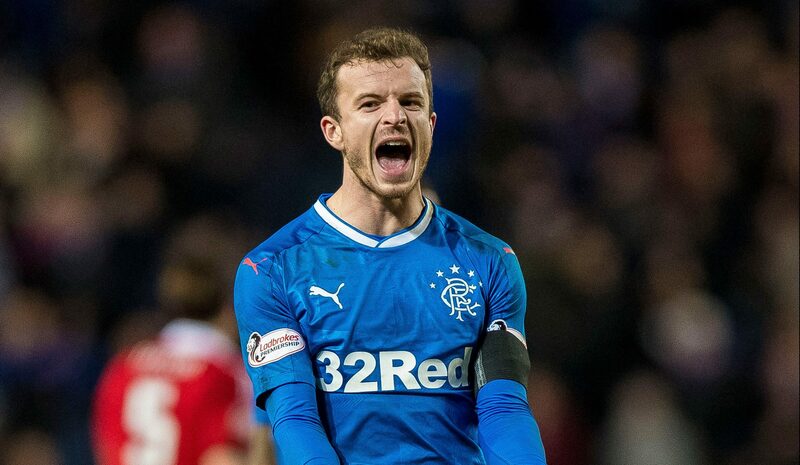 The Sun reports that Andy Halliday is due to arrive back at Ibrox after the termination of his loan deal with Azerbaijani side Gabala. According to the Daily Mail, he could soon be linking up with Jamie Murphy. Graeme Murty appears to be close to sealing his first Rangers signing for around around £1m. Speculation linking Celtic’s Moussa Dembele to Brighton appears to be growing – but the club are keen to know his level of interest in any potential move before making an offer, the Daily Mail says. It comes as several other Premier League teams also seem keen on targeting the Hoops striker, including Stoke, West Ham and Southampton. Celtic have been linked with Dusko Tosic, but the Serbian defender says he’s happy at current club Besiktas and will only move on if they want to cash in on him. The future of Hampden as a venue for Scotland internationals remains in doubt, and former manager Gordon Strachan has added his voice to the national stadium’s critics. He said the best atmospheres his side encountered were at Celtic Park and Ibrox. Barcelona may have to pay an “astronomical” fee if they want to bring Liverpool’s Philippe Coutinho to the Nou Camp, according to the Telegraph. It comes after Nike reportedly advertised a Barcelona shirt for sale with the Brazilian’s name on it – fuelling speculation of a January move. But Liverpool do not seem prepared to allow their star player to leave unless Barcelona can come up with an offer to beat last summer’s bid of £115million. Negotiations between Everton and Besiktas look uncertain following reports the Turkish club have upped their asking price to £27million for Cenk Tosun, the Daily Mail claims. The Toffees were hoping to land the 26-year-old for £25million and are said to be reluctant to increase their bid, with boss Sam Allardyce saying “we’ve done all we can”, the paper reports. Swansea may be looking to West Ham’s Diafra Sakho as part of their strategy to bring in out-of-favour players who are looking for more play time ahead of the World Cup, according to the Guardian. But any potential move by Sakho, who has not yet made the starting XI for the Hammers this season, may rely on any possible agreement by Swansea to lose Alfie Mawson and Ki Sung-yueng, who are said to be on West Ham’s radar. Manchester United are reportedly in discussions with Paris St Germain to bring Lucas Moura to the Premier League. According to The Sun, contact has been made regarding the 25-year-old Brazilian, but China’s Hebei Fortune are also said to be interested in the winger.